Well, digital marketing is so broad that it deserves many marketing tricks and tactics to scale through to google search engine result page SERP ranking. The surefire way to win in content marketing and also your competitor for higher Search Engine Ranking Page is to use the right content optimization tools. Recently, I publish posts to help young marketers work on they content to generate traffic that reward their marketing/networking effort. Now, Not to talk much on the above post, it is all related to content promotion tactic to advance your blog or website rank to the highest levels. 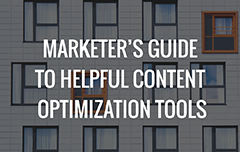 We’ve put together a list of tools that are valuable to marketers of all shapes and sizes So now let's dive in and start with simple, easy to use tools. Ubersuggest: This tool is completely free and works by collecting auto-suggestions from Google searches. For example, when I type in “content” on Google, it suggests content management system, content marketing, content strategy, and Content Marketing Institute. Ubersuggest will present every possible variation according to the alphabet of each word you might type in. It collects this information for text searches on Google.com, as well as searches for images, news, shopping, video, and recipes — and it provides results in 40 different languages. Moz offers SEO tools that includes keyword research, link building, site audits, and page optimization insights in order to help companies to have a better view of the position they have on search engines and how to improve their ranking. Google Search console is a wonderful tools indexing and site visibility. It see what keyword and sites that is searches and visited on Google which led to the site being listed in the SERPs, and also the click through rates of such listings. Previously named 'Search Queries'; rebranded by May 20, 2015 to 'Search Analytics' with extended filter possibilities for devices, search types and date. It also Check the security issues if there are any with the website. (Hacked Site or Malware Attacks). 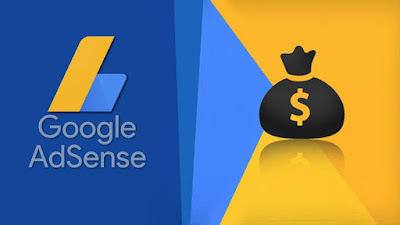 AdSense finds publishers and advertisers. Backlinks helps you research who is linking to you, or your competition. Advertising Research shows competitor PPC ads. Organic Research shows keyword rankings on Google. Analyze organic performance of your SEO campaign. Identify potential backlink success, manage and report your progress. Create white-label reports with performance metrics from Google Analytics, Search console, facebook, Adwords, Bing ads and more..